Go Old School with the "Golden Rule" for small business. You are here: Home / Go Old School with the “Golden Rule” for small business. Go Old School with the “Golden Rule” for small business. I am usually not a huge fan of big business or corporate policies. However we all must deal with the realities of life when convenience or necessities dominate. With that said, this week I was at Wal-Mart and witnessed an action by an employee that every small business owner should emulate. While in the twenty items or less line, which is never enforced, there was an elderly lady checking out. As she was unloading her cart, the cashier told her the total after each item in order to carefully stay on budget. At one point she had the cashier tear off one of the four bananas from the stem in order to keep the total under the amount of cash in her hand. When the cashier stated the total price the elderly lady was short twenty-three cents. This triggered a frantic search through pant pockets and purse crevasses with no luck. Then the Wal-Mart cashier smiled and pulled out a quarter from her pocket and rang up the sale. When I finally got up to the check-out I told the cashier that I was impressed with the kind act. She stated that it was a rare occasion that she had change in her pocket. Her nonchalant attitude toward the incident indicated that the cashier helped the lady out of the kindness of her heart. This sample of the golden rule was not a corporate policy. Moreover she did not think about the forthcoming results of her action. 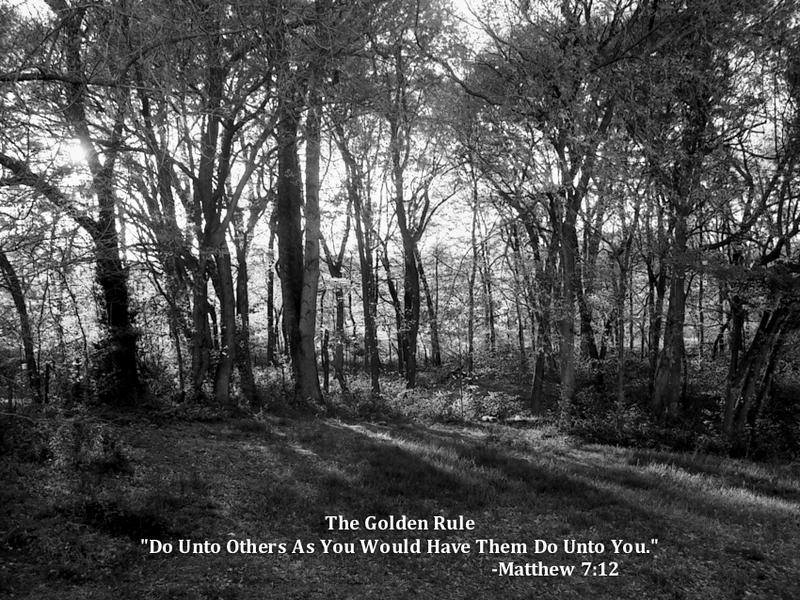 What does the golden rule mean for the small business owner? We all should be generous and kind. However there are future business consequences of adhering to the “Golden Rule – One should treat others as one would like others to treat oneself.” The marketing implications of this act could be tremendous. Such as increases in credibility or reputation, which could enhance the business’s testimonial or referral programs. Unlike contrary beliefs most people would rather conduct business with people they like. However don’t think that a generous act like this can be done only once and reap the benefits. This behavior must be woven deep in your businesses fabric as part of its culture. The golden rule benefits can be realized by doing the right things over a long period of time. Nevertheless it can take just a moment of negative behavior to lose all of those deposits. Need an example of of the golden rule? One company that embraces these behaviors is Zappos (Delivering Happiness: A Path to Profits, Passion, and Purpose ). They make it easy to do business with them because of their generous return policy and great customer service that attempts to prevent complaints by looking at the problem from the standpoint of customers. This enables them to stop issues or problems before they occur. In addition, Zappos provides its customer service representatives with great flexibility. This gives the buyer a sense that almost all customer requests will be met and that it is not going to be a painful experience to do business with Zappos.